Creamware puts software in a standalone box, again: Creamware is back with another cute box emulating a vintage synth; this time it’s the “Prodyssey.” See the mini-site they’ve built for the ASB site; it should have the new model soon. Tom Whitwell of Music thing uses the new boxes as a jumping-off point for explaining why he prefers hardware. It’s a great read, and a very sensible take on the Creamware devices. Here’s my only gripe: if you want to add one of these to your setup, they’re a great deal. 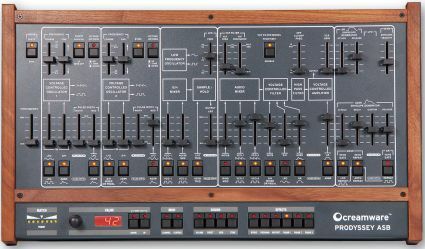 But unlike Creamware’s open-ended DSP hardware of the past, the ASB devices start to get really expensive if you need a Minimoog and an organ and another synth. I’ll stick with high-quality plug-ins and a good controller keyboard, thanks! Sure, these boxes sound great, look nice, and give you some great tweakable controls, but if you need flexibility and affordability, software still wins. KORE, a box to control software: Okay, I’ve said far too much about a non-shipping product, but KORE is interesting in that it sums up and tries to address most of the problems with playing software instruments. It gives you an easy way of switching devices and configuring them in an interface you can use in any host, on any platform, so you could move your performance setup from a home PC running SONAR to a laptop Mac running Ableton Live. And it does give software users that hardware feeling of dialing up a sound on a screen and controlling it with knobs, which still can’t be beat. Now all bets are off until the thing actually ships next month. I hope I’m better at handicapping the KORE synth than I am at picking Kentucky Derby winners. (Yeah, I’m from Kentucky, so I’m still more excited for the world’s greatest horse raise at the beginning of May than I am about KORE.) In the meantime, see analysis and more analysis. Software’s major disadvantage: The problems with software aren’t totally inherent to the medium. The problem is that, while we have some basic formats for plug-in compatibility (AU, VST) and for combining software (ReWire), controlling software with hardware is still awfully primitive. The problem is, all the solutions are piecemeal: one app with some cool features (Reason 3), one keyboard (Remote SL), one company’s platform (Native’s KORE). Even assigning MIDI controls to software isn’t as easy as it should be. I will say, though, at least manufacturers are finally trying to address the problem. We’re a lot further along than we were this time last year. And the appeal of software remains: it’s relatively cheap, it gives you nearly unlimited choice and incredibly deep sound creation power, and it is very flexible. It’ll be interesting to see how these new solutions work in practice. Stay tuned. 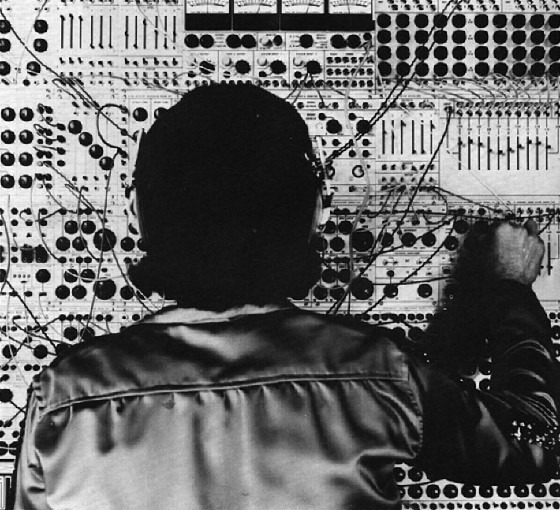 And why there will always be a place for hardware: Software is obviously here to stay, but hardware synths? Here’s a one-word answer, by example: Moog. The new Moog mono synth would easily feel at home in a computer synth studio as in a hardware lover’s setup; it’s just that good, again. More on that in a separate piece. Windows Vista Delays: Who Cares?